Greg Bird has been grounded. The New York Yankees’ first baseman has a plantar fascia tear, and is the latest Bronx Bomber to hit the injured list. Bird hasn’t had the most impressive season so far. He’s hitting just .171, with six hits over 35 plate appearances. He has one home run, but 16 strikeouts — nearly half of his at-bats have ended that way, which is definitely not what you want. 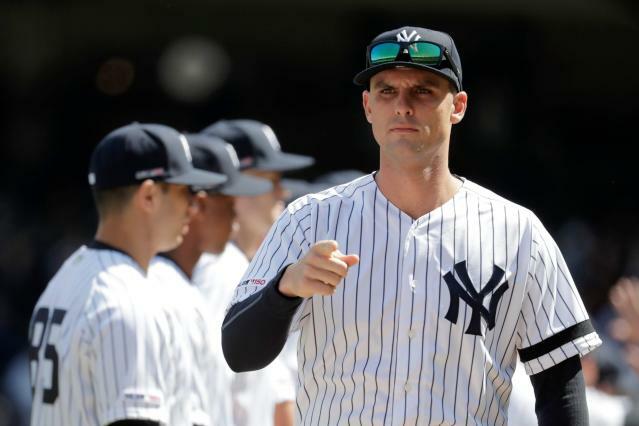 Bird on his own doesn’t represent a significant loss for the Yankees, but in context with all the other injures that have befallen the Yankees in the first three weeks of the season, it’s not good. And there have been a LOT of injuries. Didi Gregorius has been out since October after having Tommy John surgery on his right elbow; he won’t be back until after the All-Star break. Aaron Hicks played in just four spring training games before going down with lower back pain, and he hasn’t been back since. Catcher Gary Sanchez has a left calf strain, and so does Troy Tulowitzki. Giancarlo Stanton has been out since the end of March with a left biceps strain, and third baseman Miguel Andújar has a labrum tear in his right shoulder. And those are just the hitters. Promising young starter Luis Severino has a lat strain. Reliever Dellin Betances has a right shoulder impingement. Right-handed starter Jordan Montgomery and righty reliever Ben Heller are both recovering from Tommy John surgery. And of course there’s Jacoby Ellsbury, who practically lives on the injured list now. He’s been out since the start of the 2018 (!) season because of a torn plantar fascia and hip surgery. That’s 12 Yankees who are currently on the injured list with a variety of different ailments. That’s nearly half of the 25-man roster, and more than any other team in baseball. The absence of stars like Gregorius, Stanton, Hicks, and Severino goes a long way toward explaining the Yankees’ 6-9 record. But there isn’t much the Yankees could have done to prevent this glut of unlucky injuries. It’s not like there are perfect replacements for their talented stars. All they can do is play who they have and hope the injuries heal quickly. And all fans can do is hope that when the heavy hitters do come back, the Yankees don’t have an insurmountable deficit to make up in the American League East.